Hot - or cold - on the tail of last year's robot is the new R2-H16. 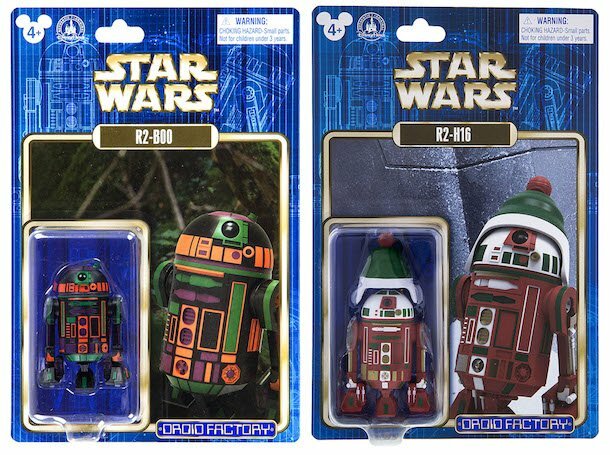 This festive fellow has a hat with ear flaps, which is reason alone enough to buy one as 3 3/4-inch scale droids seem to have become the new Vinylmation as our hobby as concerned. 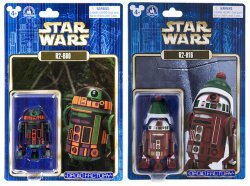 The official Disney Parks site has a feature on this and other new items, including a Bluetooth Stormtrooper Commlink for your phone, new plush Ewoks based on the 1980s cartoons - seriously!, and other goodies.Check 'em out here.